As a first-time Jeep owner, it is typically normal to have a ton of questions racing through your head regarding lifting your jeep wrangler. You can now rest assured that you will have all the educative information you need. In this article, we will shed some light on the various types of lifts available in the market. Also, we will look at factors you need to consider before settling for a particular lift being best for your jeep wrangler. Lifting your Jeep sounds like the coolest thing. It may appear appropriate to entail bolting on the lift onto your Jeep and going for a wild ride. Like it or not, it entails more than that. Installing a lift kit will more often than not alter the steering system and or suspension from how it was first made to work. This is regardless of what vehicle the lift kit is installed in. However, it does not pose any danger as long as installation has been done correctly using the right tools and components. What is a Jeep lift kit? Why would I lift my Jeep Wrangler? A lift kit is a component installed on a wrangler to help raise its suspension or body. Jeep Wrangler lift kits are of typically two main types going by the names suspension lift and body lift. A suspension lift kit helps increase the distance between the wheels axles and frame. On the other hand, body lift kits cause an increased distance between the frame and the body. Depending on what you use your jeep for, there are two main reasons why people lift their jeep wranglers. First, people lift their jeeps for looks. Lifted Wranglers have an aggressive first impression that attracts a lot of attention. Secondly, Jeeps are lifted to create an allowance for larger tires and wheels. It leads to an increase and improvement in off-road or rough terrain performance. Jeep Wrangler's engineering is more inclined on the off-road or rough terrain high performance. A stock or not lifted Wrangler can, therefore, do amazingly well on rough terrain. Lifting, however, increases this rough terrain performance substantially that is depending on the suspension lift you have chosen. The added height or ground clearance that comes with lifting increases the vehicle's ability to bend its suspension or articulation hence better approach angles for maneuvering extremely rough terrain and crawling big obstacles. ​Most of us Jeep owners do a little off-road driving but on very rare occasions, lifting our jeeps is therefore for the aggressive look it acquires. Lifting also allows us to use our Wranglers as our daily drives to work or malls and ones in a while off-road vehicles for such things as camping. In such cases, the perfect suspension lift is one that allows a perfect balance for aggressive looks as well as to multitask of on-road driving and off-road flexibility. It is easy to think that since you are not going all off-road, the suspension lift is all you will need. That is wrong since, in addition to the suspension lift, you will need wheels and tires that go with it as well as power transmission to the drive axles or the drive train. The harmonious working of these three systems will ensure the best possible tire and wheel grip. Information about Jeep lifting is all over. It is, therefore, a wise step for you to take before settling on any particular lift. Gathering all the information you can get will equip you with the knowledge on the available choices of lifts and which one will best serve your needs. You do not want to be stuck with something you wish you never did in the first place. Researching will also help you with knowing or estimating the cost of having the lift done professionally to avoid mechanical inconveniences. Being realistic and practical before settling on a lift kit option will save you a lot of hustle, finances and time. How exactly you are planning on using your vehicle is a fundamental question to ask yourself. Do you want to transform it to a gigantic off-road rock crushing monster or do you want a day-to-day drive to malls, trips, and work or do you want a combination of the two aspects into one? Answering these questions realistically will help you know what accessories you need. How much is the estimated total amount you are willing to spend on lifting your Jeep? Are ready to go as high as several thousand or as low as a few hundred dollars to purchase the right lift kit for your Jeep? When setting aside a budget for lifting your Jeep, remember that aside from the lift kit. You will most likely want or need other items to go with the lift kit that will cost you extra money. Elements such as a change of axles to stronger ones, larger wheels, and tires, winch, new drive shafts, longer brake lines, adjustable track bars, slip yoke eliminator (SYE), lower gear handle and adjustable control arms. ​If you want a simple Jeep lift, $400-$1000 will be more than enough to get the job done for you. However, if you have a little bit higher expectations of the result, you will most likely have to set some money aside for that for a few months. Be sure that your expectations of the result are in line with your finances. You should also be careful not to by going mechanical professionalism for a cheap lift kit installation. 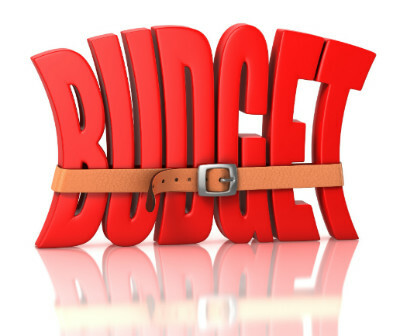 Remember that you will also have to factor in your budget pay for professional installation. Using any lift kit on a vehicle equates to using larger tires than usual. However, knowing the size of tires can dictate the kind of lift you will choose. Lifting your Jeep to allow for slightly larger tires than usual is easy and cheap. On the other hand, higher lifts to accommodate massive tires to increase off-road reliability will be expensive. In case you want just to have a little larger tire than usual you may not even need a lift. Unlike most vehicles like SUVs and light truck, jeeps can be fitted with larger tires without installing a full suspension lift kit. This can be done through the addition of coil spring spacers or flat fenders (after high market clearance), major fender trimming and minor fender trimming. Any of these four processes can give an approximately small lift. Make sure you purchase your lift kit from a reputable company. Do not try to install the lift kit alone without a professional most especially if you have never done it before. Do not be a rush to purchase a lift kit. Take time to research on the size that will best suit your needs, the kit best for your vehicle and what type is best for you. No matter how high or low your lift is, lifting and changing to larger tires will affect your vehicle's fuel consumption. If you are already talking about how bad your jeep is consuming gasoline, you might want to rethink adding a lift kit to it. More often than not, an addition of a lift kit affects the drive of any car. The higher you go, the harder your drive becomes. A lift kit is not only about making your jeep higher; it requires other components like new wheels and tires. Your jeep's computer will also need a recalibration. Though there are several Jeeps makes and models, it is important to know that not all jeep wrangler’s accessories and parts have been made equal. You will likely find more aftermarket accessories and part available for wranglers than for any other vehicle in the world. Because of this, you will likely find very many jeep lift kits, accessories and parts manufacturers by default. Due to this kind of competition, you will find that there are two groups of products produced. Some manufacturer will make high-quality jeep accessories, parts and lift kits that have been engineered in the right ways and ones that have been thoroughly tested. On the other hand, some manufacturers will by go quality and even necessary parts just to make their products affordable since high-quality ones are expensive. It is important too, therefore, know when your jeep wrangler lifting is concerned, you get what you pay for as far as changing suspension, brakes, steering among other crucial aspects of your vehicle. It is, therefore, a wise idea to lose those several extra dollars in exchange for safety and high-quality products. Any big seller you associate with should be referred to like that because of the high quality of their products and not because they are merely inexpensive. 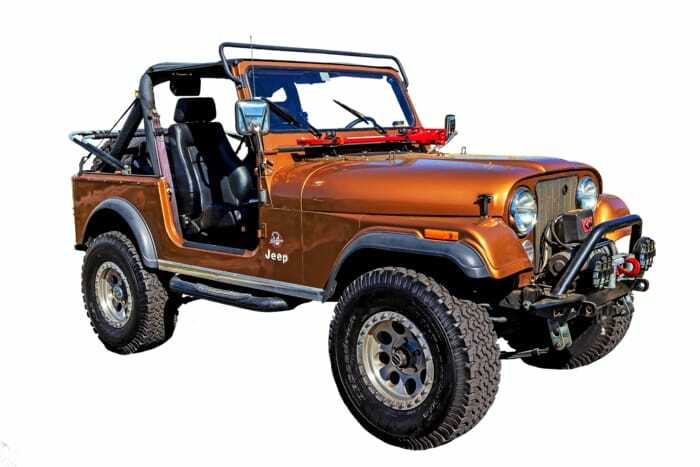 There are three main types of jeep wrangler lift kits namely small, medium and large lift kits. This lift kit is suitable for jeep wrangler that is used as an everyday commute driver. It gives an approximate lift of between 1.5 and 2 inches. A small lift kit creates a little more clearance in addition to the usual to allow you to run a 31inch tire. This lift kit comes with coil spacers that are usually placed beneath stock springs. This gives your jeep wrangler a considerable height at the front coupled with extended shackles at the back. ​The second option to this is going with blocks at the back if the springs you have are strong or new. Small lift kits have easy installation. Large lift kits typically equate to an increased aggressive look and an amazingly high off-road or rough terrain performance. Though large lift kits are more inclined towards rough terrain experience, with it you can still have a stock on-road drive. Large lift kits allow a lift of more than 3.5 inches which gives a tire clearance that allows running tires of 35 inches and above. The lift kits come with a huge bunch of new accessories and parts which require installation by a professional mechanic. There is a very high chance that you have had people telling you that body lift is a cheap, effective and efficient way to lift your wrangler. These lifts are in the range of 1to 3 inches that you can purchase at a fee of several hundred dollars and comes without new shocks. Body lifts give a lift to your wrangler by providing bolts and taller spacers which are built in or set up between the body and frame of your jeep wrangler. That sounds pretty easy, but it is not as easy as it may sound. 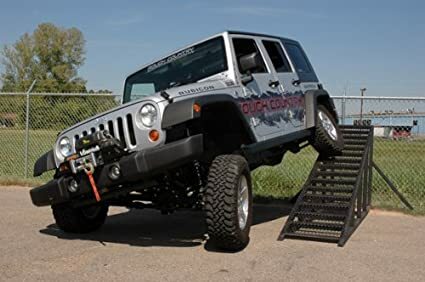 Depending on the height you will lift your wrangler too, you may be required to source for and build in components such as new brackets and extensions for steering linkage, fuel filler tube, radiator and transfer case shifter as well as transmission. With these extensions, your jeep's functions and workability will not be affected. The new brackets required allowing the re building in of the fan shroud that is usually removed before the installation of the body lift. Budget boost lift kit is also known as a spacer lift. It is a basic suspension lift that ranges from .75 to 2.5 inches. This suspension lift is acquired through the building in cheap .75 to 2.5-inch thick or dense polyurethane coil spacers that are usually set up on top of your wrangler’s stock coil springs. To help get rid of your wrangler's factory slope angle or rake, some kits consists of spacers that are taller at the front and shorter at the back or rear. While some budget boost lift kits only consist of spacers, others have track bar brackets, longer aftermarket shock extensions or shocks; brake line brackets not excluding longer sway bar links. If you are new into this jeep wrangler “lift kit” thing are looking to familiarize yourself with it first without going so high, a budget boost lift kit is a good place to start. 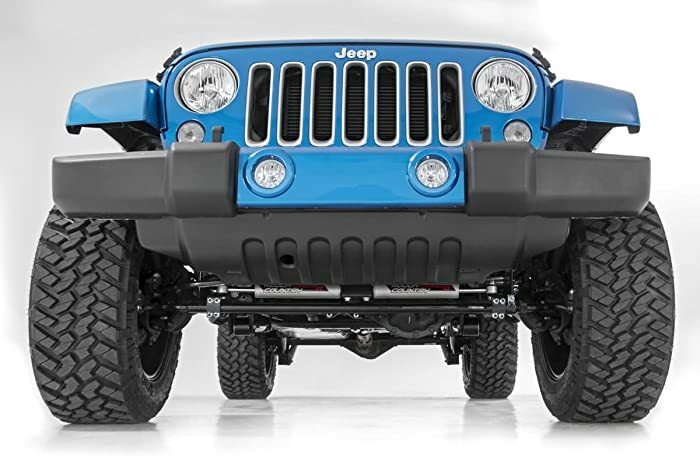 This jeep lift kit also good if you are just looking to give your wrangler an aggressive and bold look by running a slightly larger tire size. If you plan to go higher in the future having started with a budget boost lift kit, it’s advisable to opt for new taller shocks instead of shock extensions. In addition to their affordability, budget boost lift kits are popular because like Body lift kits. They are mostly built in for clearance to allow running of larger tires of up to 35 inches hence does not require additional adjustments to the suspension that is alignment, drive shafts among others. Budget booster lifts allow room for little off-road driving. If you opt for taller shocks, you might as well dig deeper into your pocket and upgrade to Coil Spring lift kits that will offer you a little more wheel travel compared to Budget Boost lift kit. This lift kit comprises of longer and stiffer coil springs which offer a 1.5 to 3.5 suspension lift. It may have other components like sway bar links, brake extensions, bump stops, longer shocks, track bar brackets and track bars depending on the manufacturer. Unlike the Budget Boost lift kit that is mostly used to allow or create clearance or room for a larger tire, with the Coil Spring Lift you will start enjoying as well as seeing the bright side or benefits of wrangler lifting. This is because the taller coil springs heighten articulation which in turn leads to increased tire traction to surfaces during driving. Though most standard coil spring lift kits do not come with any adjustable control arms, they may include an adjustable front track bar. ​One of the few advantages of using Coil Spring Lift Kits is that in cases where you might want or need to increase your wrangler's height in future; you will not need to replace every component. This is basically because the aftermarket track bar and control arms can use with different heights since they are always adjustable. Although each of these lift kits above are efficient and perfectly serve their purpose and your needs depending on your expected result, I would highly recommend a quality Short Arm Lift Kit over any other. This is mainly because it is a complete suspension system that comprises of all the accessories and parts need to lift your wrangler safely and maintaining the proper suspension and steering geometry. More often than not, many wrangler owners end up with all components of a Short Arm Kit after gradually upgrading from less complete types of lift kits. If your budget allows you, starting with a Short Arm Lift Kit is cheaper than building piece by piece. 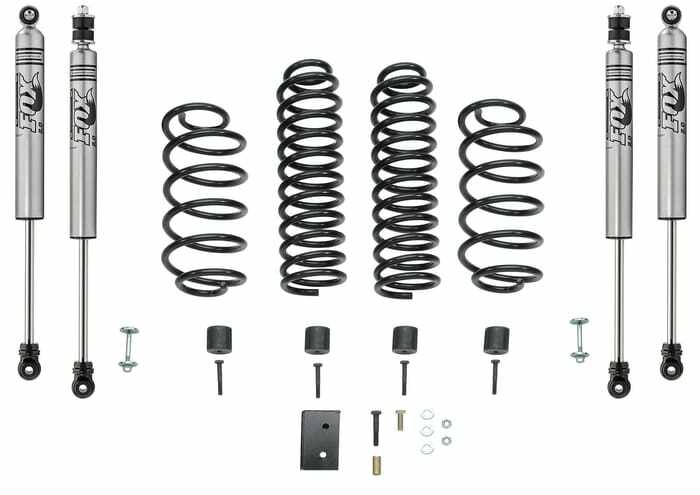 This lift kit has all the accessories that are in a Coil Spring Lift Kit for an additional longer and adjustable front and rear or back control arms. This complete suspension lift allows you, Wrangler, to be lifted from 2 to 5 inches and above. Short Arm Lift Kits provides more articulation than a Coil Spring lift without going into welding, major fabrication, cutting or suspension modifications. The adjustable control Arm allows you to correct such things as pinion angle and wheelbase to cub drive vibration. 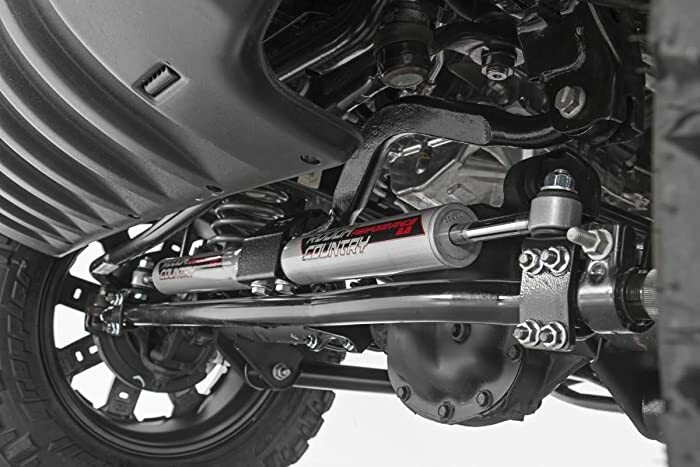 A quality Short Arm Lift Kit will have adjustable track bars. This comes into use after your vehicle has been lifted when centering your axle under the frame. A short Arm lift with an excess of 3inches will come with all the accessories and brackets used for correcting any issues with the steering geometry. A lift exceeding 4 inches will normally require an aftermarket drive shaft. Like Coil Spring Lift Kit, it is flexible to go with any height since its aftermarket track bars and control arms are adjustable. This lift kit is for wranglers that are extreme off-road drivers. It is the most expensive and requires a professional for the installation process which is labor some. The installation of a Long Arm Lift Kit calls for a fair share of welding and or lubrication. It offers the highest of 3 to 6.5 inches and more. Since this lift kit uses 10 inches longer control arms than usual, this calls for the build in of some heavy duty and new control arm brackets. This requires the cutting off of stock brackets from the frame. When using Long Arm Lift Kit, new drive shafts are a must have due to the high articulation that results. Long Arm Lift Kit has the advantage of amazing articulation hence extreme crawling power. To break it down, Leveling Kit and jeep suspension lift kits are the two ways you can use to lift your jeep or truck. Sometimes you can have the privilege of choosing either one of them while other time you have no choice but to you one of them. Leveling kits mostly come to play in cases where you want to level the rare part of your truck with the front. A good example is with pickup trucks. Of course, there is a mechanical reason why they are engineered that way. This leveling is mainly done for cosmetic. Jeep lift kits are available in different sizes all you have to do as a jeep owner is look for what suits your need best. Below is a review of some of the best jeep lift kits for your wrangler. This 1984-2001 Jeep Cherokee supreme suspension lift is designed to provide a 2” adjustable front and 1.5”-2” back suspension lift for a Cherokee. 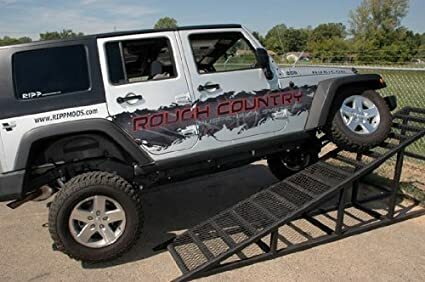 It has an easy and fast installation of 2-4 hours that creates ground clearance that allows you to fit larger tires and wheels as it increases your jeep's height. This lift kit does not alter the smooth quality of the factory ride. Though no special tools are required during its installation, an alignment is advised any time the height of your vehicle is altered. Unlike previous lift kit spacers that were polyurethane spacers that compressed underweight, supreme suspensions do not compress. By being CNC precision form Delrin, this Cherokee lift kits offer you strength and durability without preceding comfort. Supreme Suspension lift kits rea durability is ensured by the shackles being made out of strong carbon steel are loaded with poly brushings. The transfer case drop included in this kit ensures that the drive shaft is always aligned as well as preventing unwanted noises and wear along the driveline. This lift kit gives your Jeep a fancy cosmetic look. It has fast and easy installation of between 20-30 minutes that does not need any special tools. These supreme suspension seat risers are designed to give your Wrangler's front and driver’s seat. In addition to increasing comfort and visibility in most jeep models, they also create storage spaces under the seats. ​Its Pro Billet series is made from T6 Aircraft Billet which is then anodized to prevent corrosion and rust. This makes the material durable and appropriate because of its lightness and sheer strength. This also contributes to their not cracking or compressing underweight. Wrangler Seat Lift Kit comes with instructions on installation, 8*Pro Billet Lift Spacers, Supreme Suspensions Pro Pack and installation hardware. Steering stabilizers are engineered to prevent front vibration and bump steer which is typically a situation where the wheels of your car steer themselves without any direct control or input from the steering wheel. This results in increased tire life, other steering components, and ball joints. This Rough Country Dual Steering Stabilizer features all the required hardware and bracketry and 2.2 performance shocks. Its easy bolt-on build in help reduce wear and tear of the ball joint and tie rod. The kit also includes a performance 2.2 Series Stabilizers. Though Skyjacker lift kit can fit other Jeep Wranglers it perfectly goes into 1997- 2002 TJ Jeeps without any problems. This lift has every accessory needed for raising or lifting your Jeep's suspension. The kit consists of hydraulic Skyjacker 7000 series shocks, spring coils, shocks and mounting nuts and bolts. Front and back extended end links and transfer case lowering kit are also included. As the name suggests, this lift kit is designed to fit 07-17 Wrangler Unlimited JK 4WD and or 07-17Wrangler JK 4WD. 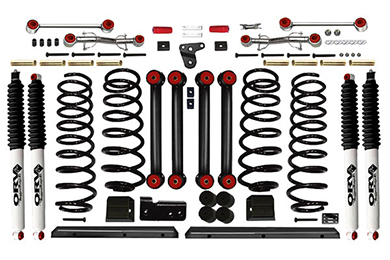 The kit comes packed with front and rear lift kit accessories that include brake line brackets, coil spring spacers hardware, shock relocation brackets, rear sway bar links and track bar brackets. Rough country suspension lift kit has a high bolt-on-build in or installation. It also increases ground clearance allowing the use of up to 35-inch tires. With too much or high articulation rubbing may be experienced. Always counter check clearance between the sway bar link, front tire, and lower control arm. With high articulation, springs can be displaced they are therefore put in place due to the spring retention design. This lift kit takes between 2 and 3 hours to install. It is recommended for use with 33-inch tires. Nuts/ bolts should be checked after the initial 500 miles followed by regular checkup after every 1000 miles. Likewise, suspension, driveline system, wheel alignment, and steering system must be inspected after every 3000 miles by a professional mechanic. With the above information, lifting your Jeep Wrangler has just way easier and less stressing. Make sure you consider all factors that come to play before making a decision. Though some lift kits are easy to install, it is always advisable to have them installed by or in the presence of a professional mechanic. Practically everything has its pros and cons so don't be afraid to try out any particular lift you think could work for your Jeep.